Wil takes with him on each trip to Honduras members of his church in order to encourage personal involvement in world missions. John and Brenda Havard recently joined Wil on a mission trip to Danli, Honduras. While Wil taught a course of Old Testament Survey and Christ in the Old Testament, John wired Juan Alberto’s house for electricity. Brenda held children’s Bible classes and taught them the plan of salvation using a salvation bracelet. Each color on the bracelet represents a different spiritual truth that is clearly taught in the Word of God. It is a creative way to present the Roman Road to any age group. She had about 200 children during the week, and will return on another trip in the future to continue the children’s ministry. Students in Wil's classes for pastors and church leaders enjoy acting out parts in their presentations, especially the skits. Wil got great participation from the students as they worked in small groups and made practical applications of the great passages in the Old Testament. In addition to the textbook for the Survey of the Old Testament, each student received a copy of Wil’s 226 page book, Cristo en el Antiguo Testament. This is volume one, Genesis through the Psalms. The second volume on the prophets will be published later this year. To reduce costs we will not build buildings in Honduras, but operate out of existing churches or church assembly grounds. We have pastors and laymen who are committed to theological education by extension for rural pastors who will coordinate the work and provide logistics in Honduras. Teachers from the U. S. will be asked to pay their own way to go and teach one of our courses for one week (40-50 classroom hours). They can ask their local churches or individuals to cover their expenses for transportation, help with the cost of textbooks and teaching materials, etc. for the students. Rural Pastoral Training Ministry in Honduras. We provide a place to stay and meals during the week they are studying. 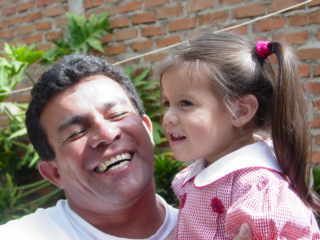 Juan Alberto Herrera Ministry Alberto has faithfully served 18 years as a contract worker with mission teams. We believe it is God’s will for him to serve as a full-time evangelist and pastor. Juan pastors Alpha and Omega Baptist Church in Danli and is the Director for our Seminary Extension in Honduras.